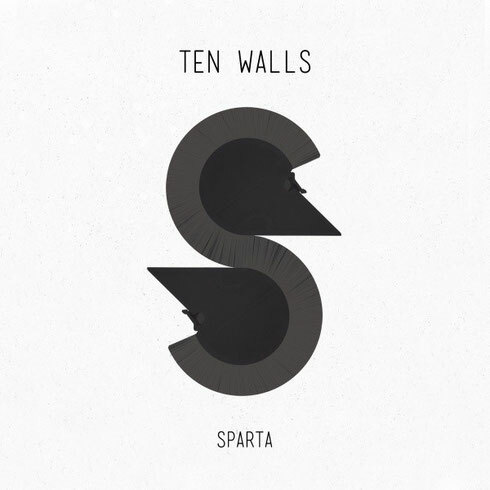 Back on his Boso imprint, Ten Walls returns with his new track, ‘Sparta’. Since the monumental ‘Walking With Elephants’ was released, Ten Walls profile has continued to soar. One of the biggest tracks of last year with support over specialist and even daytime shows at BBC Radio 1, it also found its place on dancefloors worldwide backed by DJs such as Maceo Plex, Damian Lazarus, Sven Vath and many more. Skilled at creating the ideal ‘moment’ track for the dancefloor, here he delivers one his best with ‘Sparta’, emotive and powerful it aims to follow in the footsteps of its predecessor by trying to become an anthem in 2015. Lithuanian producer and live artist Marijus Adomaitis first came to attention with his Ten Walls project in early 2013 with the 'Gotham EP' on Innervisions. Becoming hugely popular almost overnight he followed up with 'Requiem EP' on Life & Death and ‘Walking With Elephants’ on Boso, which peaked at No.6 in the UK Singles Chart. This string of releases highlighted him as possibly one of the biggest sensations in the dance music industry of recent times. Named as one of Mixmag’s Stars of 2015, he also appeared at No.5 of RA’s Top Live Acts in 2014. His name can now be seen on many big festival line ups as he takes his live AV show around the world. Check ‘Sparta’ out below, it’s out 2 June.